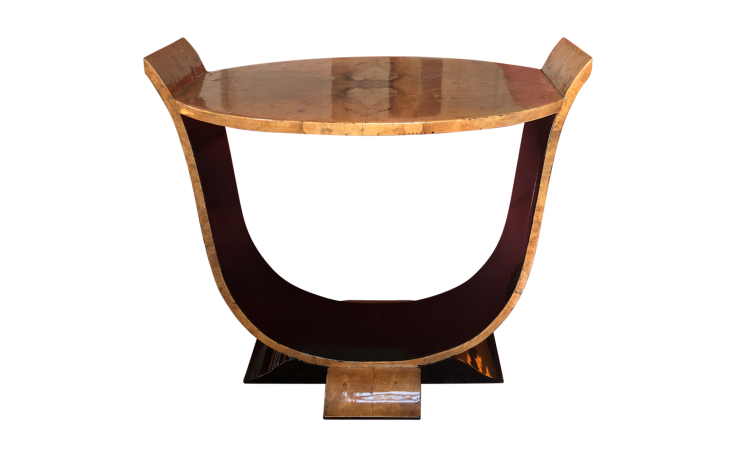 Art Deco is a movement that began in the Jazz Age of Paris between the two World Wars. Its 1925 birthplace was The Exposition Internationale des Arts Décoratifs et Industriels Modernes (International Exhibition of Modern Decorative and Industrial Arts). It was at this World’s fair where 16 million viewers were introduced to The Style Moderne, later known as “Art Deco”, as an abbreviation of Arts Décoratifs. This all-encompassing style influenced architecture, art, fashion, decorative arts, interior decor, and much more. It’s an assortment of symmetrical, geometric, luxurious, repetitious, and bold features that encompasses all the glamour of the Roaring 20’s with high visual drama. Easily-identifiable influences include the bold shapes of Cubism, Exoticism ornamental designs, and Fauvism coloring. The Art Deco Movement was captured by designers like Émile-Jacques Ruhlmann, Jean-Michel Frank, Jean Dunand, René Prou, René-Jules Lalique, Louis Süe, and André Mare Bergère. Symbolizing wealth and sophistication, it has been immortalized by the over-the-top parties and opulent style of F. Scott Fitzgerald and Jay Gatsby. There’s a reason this classic trend has maintained its popularity and status for nearly a century! Designed to celebrate progress and modern ideas, elements feel forever fresh. It’s current resurgence proves that this style continues to create contemporary spaces. Surrender to its seductive allure and dive into Deco décor. 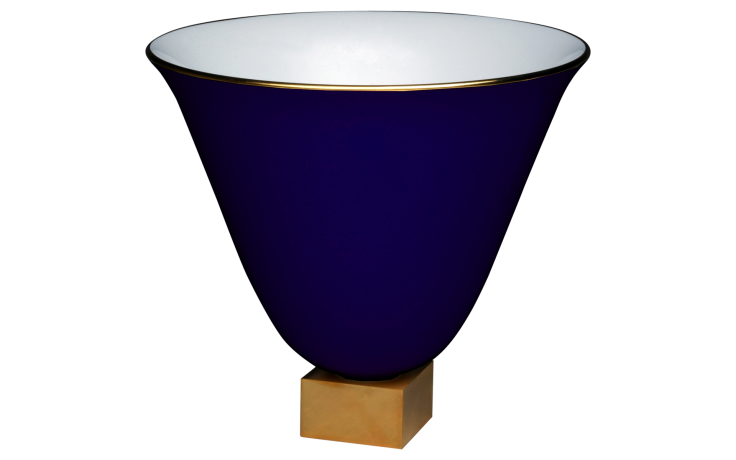 To many, Emile-Jacques Ruhlmann represents the glitz and glam of the Deco movement. The conical outline of this vase is seen in many patterns and motifs, making this vase is a perfect example of Art Deco shape. Clean, precise lines and deep colors seen here are powerful characteristics of the time. Maxime Old’s aesthetic was unique in his time. While he worked within the Art Deco style, his legacy is much more modern, with sharp lines and architectural forms. 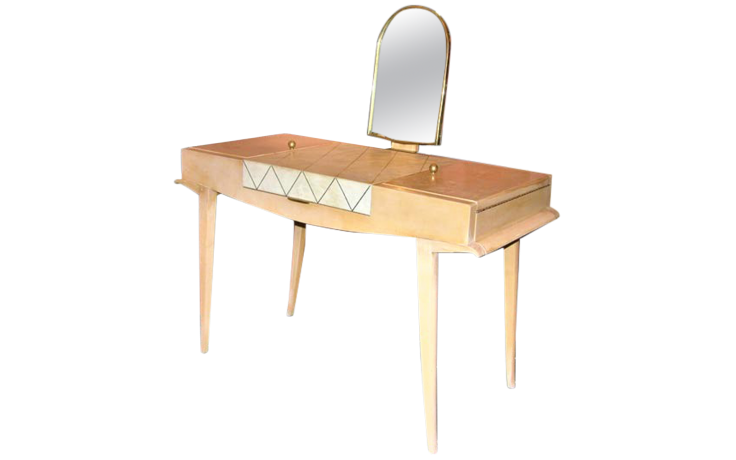 You can easily see how he was the forerunner for transitioning Deco towards the Modern Movement in this gorgeous vanity. This marriage of two incredibly chic and timeless styles is irresistible. Simple shapes, clean cuts, and sleek elegance are distinctly Deco on this vintage side table. A multitude of details – walnut burl veneer, dramatic silhouette, and pedestal base – add refinement and make this piece extraordinary. This symmetrical pattern is a must-have for any Deco decorating. 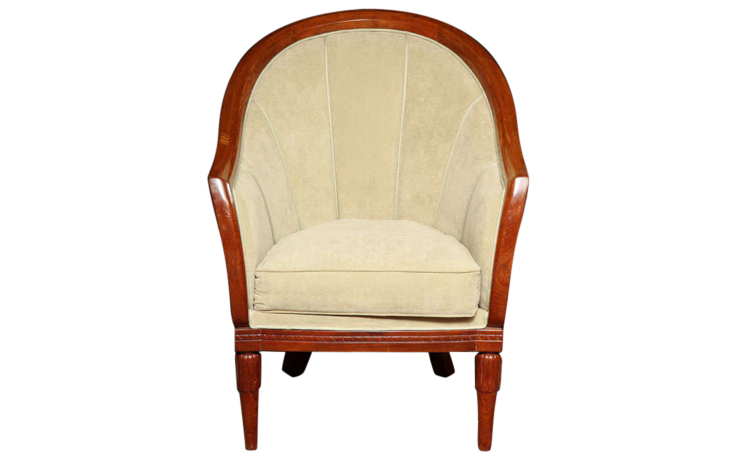 After dancing the Charleston all night long, cozy up to this sculptural and sophisticated armchair. A champagne tower requires a heavy stock of coupe stemware, and this two-door sideboard has all the required storage. 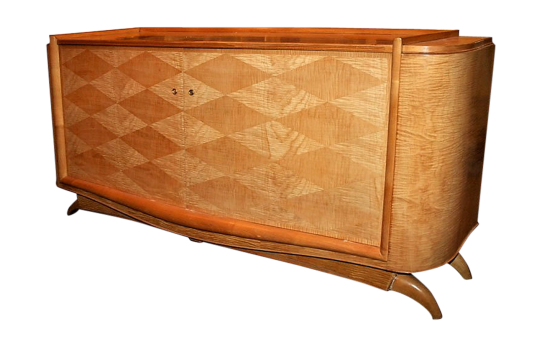 Add in details like inlay Deco diamonds and four console drawers, and this piece is the bees knees. That hexagon table is gorg.